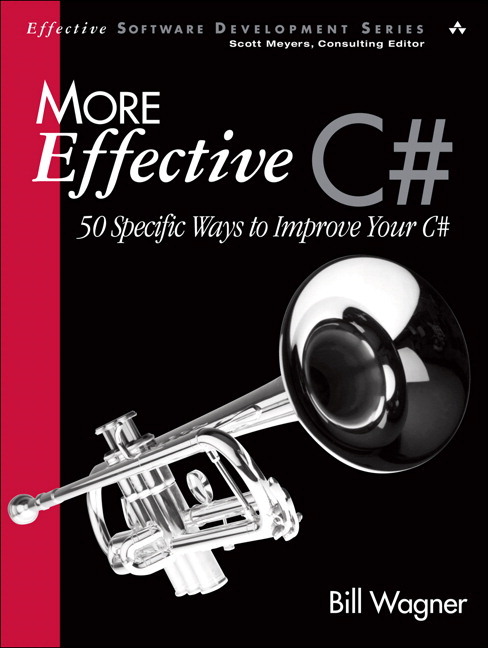 Written for students with a strong basic understanding of C#, Bill Wagner’s More Effective C# will help them become outstanding programmers. Fully up-to-date, it introduces fifty intermediate-to-advanced-level techniques for writing highly-efficient and robust C# software. 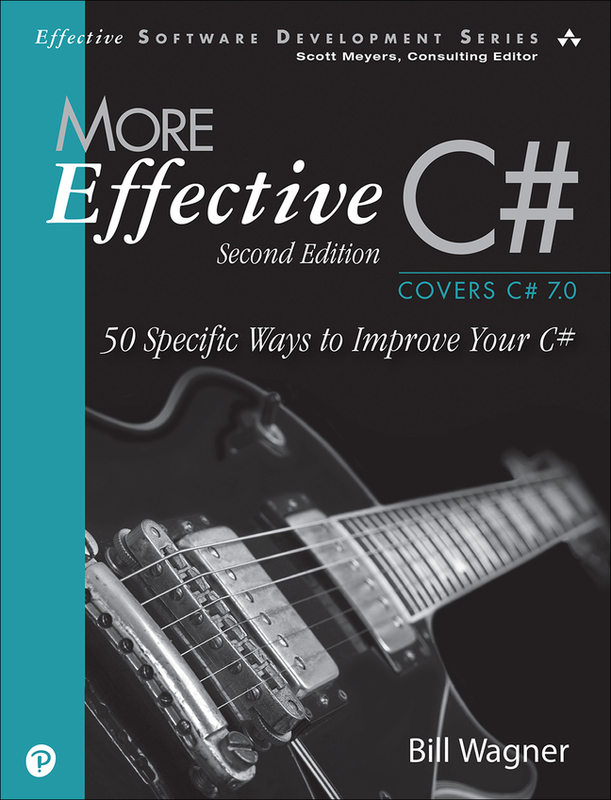 Packed with new techniques and code updated for the language’s newest capabilities, it follows the same format as Wagner’s best-selling Effective C#: clear, practical explanations, expert tips, and plenty of realistic code samples. Drawing on his unsurpassed C# experience, Wagner helps experienced C# developers choose the most effective solution when multiple options exist, and develop code that’s easier to understand, maintain, and improve. Wagner also uncovers practices that compromise performance or reliability and shows exactly how to avoid them. Each section contains specific, actionable guidelines, organized into “items”: short vignettes offering careful advice, concise technical explanations, and illuminating examples. 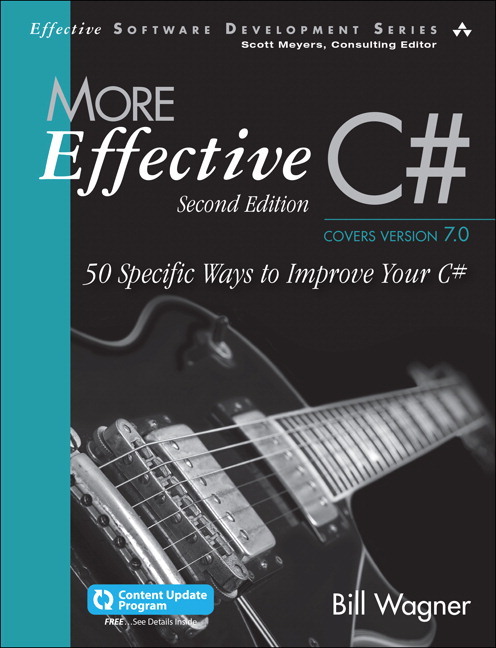 This edition is thoroughly revised to reflect C# 6.0 and 7.0. All code is updated, many new techniques are added, others are changed to reflect new language and platform capabilities, and others were eliminated as obsolete. Bill Wagner is one of the world’s foremost C# developers, a member of the ECMA C# Standards Committee, and author of all three editions of Effective C# . He is president of the Humanitarian Toolbox, has been awarded Microsoft Regional Director and .NET MVP for 11 years, and was recently appointed to the .NET Foundation Advisory Council. Wagner has helped companies ranging from start-ups to enterprises to improve development processes and grow development teams. Now a member of Microsoft’s .NET Core content team, he creates developer learning materials on the C# language and .NET Core.